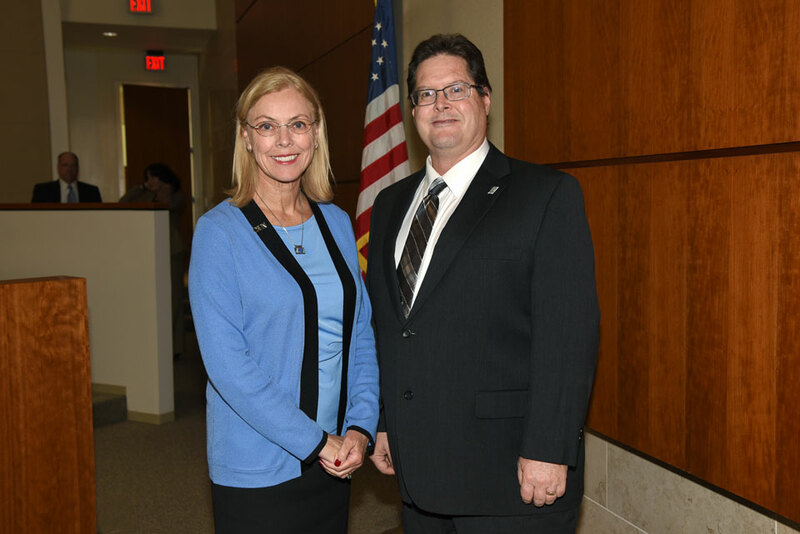 "CSU Class of 3 Million" $10,000 scholarship winner CSUN alumnus Gordon Jones '82 (History) with CSUN President Dianne F. Harrison at the May 20 CSU Board of Trustees meeting. Photo by Laurel Hungerford. 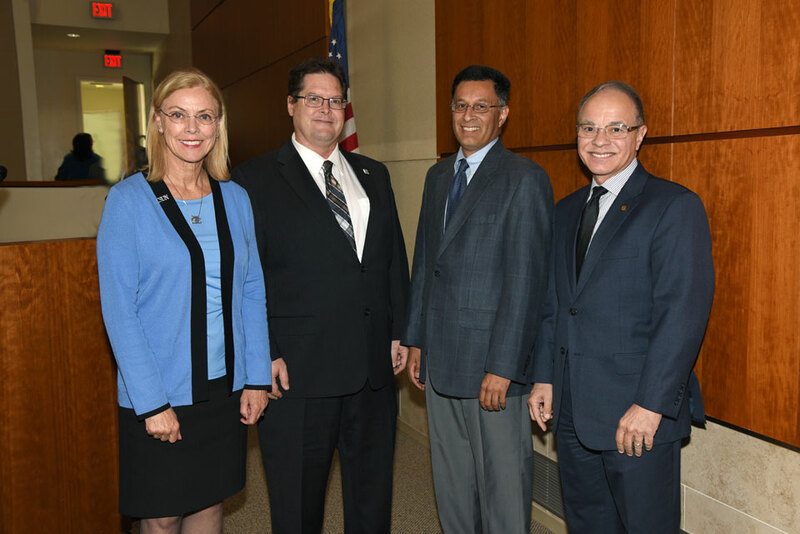 (From left) President Dianne F. Harrison, Gordon Jones, Paul Gomez and CSU Los Angeles President William A. Covino. Photo by Laurel Hungerford. 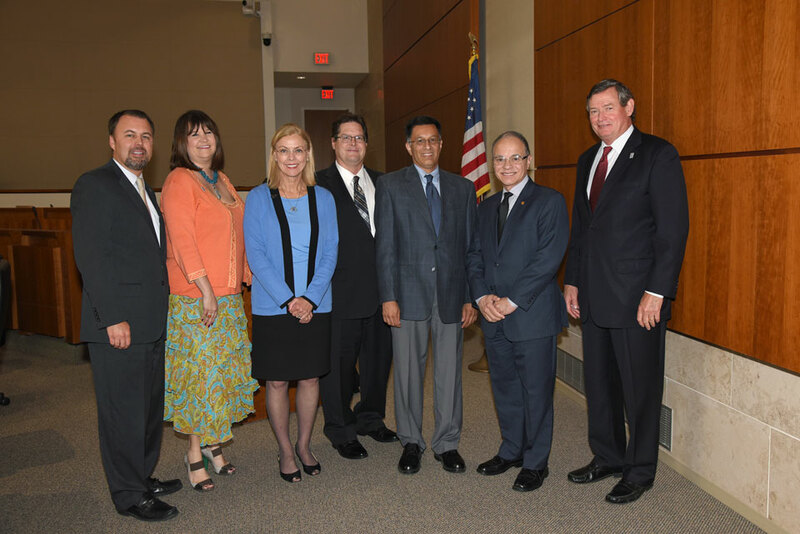 (From left) Lou Monville, Kristin Crellin, CSUN President Dianne F. Harrison, Gordon Jones, Paul Gomez, CSU Los Angeles President William A. Covino and California State University Chancellor Timothy P. White. Photo by Laurel Hungerford. California State University, Northridge alumnus Gordon Jones ’82 (History) received a $10,000 scholarship with the click of a button after he signed up to be a part of the “CSU Class of 3 million” yearbook, a program launched by the California State University system to celebrate the milestone of 3 million graduates from the state university system — the nation’s largest since its founding in 1857. The collective CSU alumni surpassed 3 million this year. California State University, Northridge, the system’s largest institution, celebrated the milestone and Jones’ win during the 2015 Commencement ceremonies. One out of every 20 college graduates in the United States is a product of the California State University system. Jones, an engineer and San Fernando Valley resident, received one of three $10,000 Herff Jones-sponsored scholarships. Shortly after he graduated from CSUN, Jones went to work for AT&T for a short-term operator position. Thirty-three years later, Jones finds himself as the lead fiber-design engineer for the LA Metro and San Fernando Valley areas. More than three decades later, Jones is five years away from retirement. He has decided to use the scholarship money he won for his son’s and godson’s education (the scholarship must be used for educational purposes). “My son, [Robert], graduated from CSUN in 2007 with a degree in CTVA,” Jones said. “He is now a teacher. My daughter, [Jennifer], graduated in 2010 with her B.A. in communications. She is now working at a company called Initiative as a senior specialist of digital investment.